Jayde Loved them and helped me out a bit. All you need is White chocolate (I got mine from Michaels) and Mini chocolate chips, wooden sticks (popsicle sticks) and bananas! Watch the video at the end to see Jayde and I make these BOO NANAS! 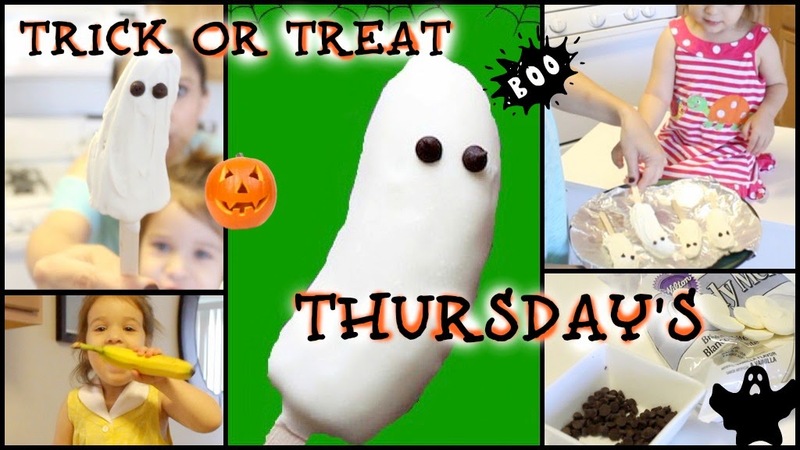 Trick or Treat Thursday’s! | MilkyWay Pumpkin Spice Pretzels! How I Style MY Boots!